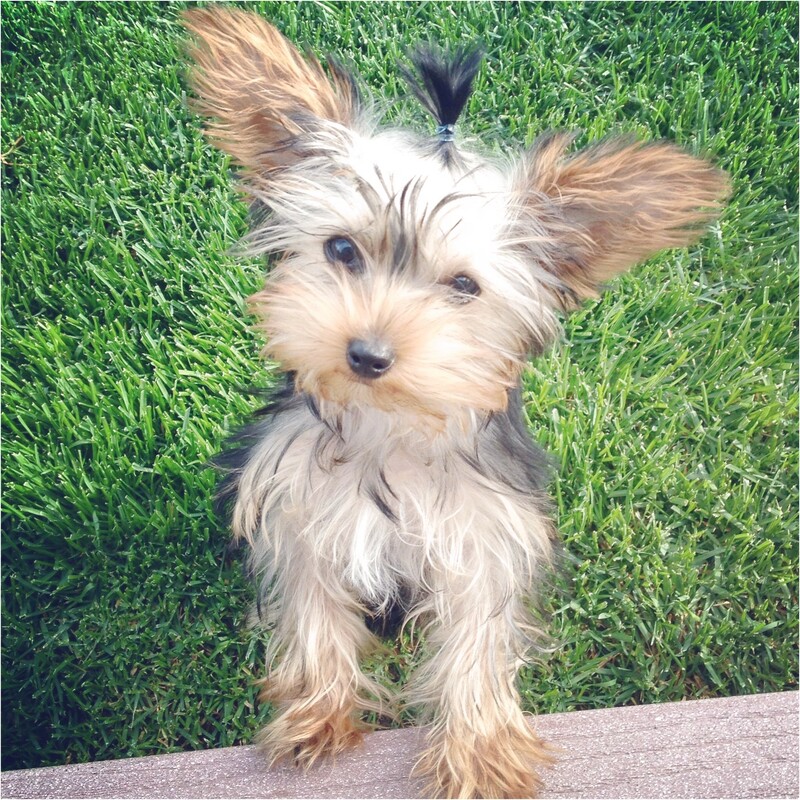 Yorkie puppies are born with floppy ears. They do not have the proper muscle strength at the base of the ear in order to hold them erect. These muscles will grow and become stronger with time (in most cases). Usually between the age of 3 months to 6 months, the ears will gradually raise up and the stand on their own.